To combat driver fatigue, some bus drivers are turning to fatigue warning devices. These devices monitor the driver's eye closure rate. If the device senses an unsafe pattern, an alarm will sound. But, not all bus drivers and companies use these devices due to cost and other reasons. If you or a loved one has been injured in a bus accident, our experienced bus accident lawyers can help protect your rights and recover your losses. We have recovered more than $100 million dollars for our clients and we are here to help you too. Contact us online or call us anytime at 615-742-4880 or toll-free at 866.812.8787. Driving is not a competitive sport, but some drivers try their best to make it one. Road rage takes many forms from aggressive tailgating to trying to run the other driver off the road. The AAA Foundation for Traffic Safety reports 62% of motorists have been the victims of road rage. Depending upon the level of road rage, the driver's conduct may be considered reckless, which may entitle the victim to both compensatory and punitive damages. If you or someone you love has been the victim of road rage that resulted in a serious accident, contact us today and let us help you hold the other driver accountable and get the maximum compensation reasonably possible. Call 615-742-4880 or toll-free at 866.812.8787. Most motorists speed because they are in a hurry to get to their destination. Bus drivers are no exception. With their pre-determined timetables, they are under a tremendous amount of pressure to stay on schedule. When weather, traffic, road construction or something else causes a delay, there is a heavy temptation to try and make up the time by speeding. Because of their increased weight and size, buses have increased stopping times, and speeding makes it much more difficult for them to stop if traffic suddenly slows or stops. Many types of buses can be equipped with speed governors. The speed governor is designed to limit fuel to the engine once it reaches a certain speed. But many bus and motor coach companies do not use them. Again, the quest for profits overrides safety. Most motor coaches have a "black box" onboard which stores valuable operational data including the speed at the time of the crash. If you or a loved one has been hurt by a speeding bus, contact us today so we can protect this valuable evidence and your rights. Call 615-742-4880 or toll-free at 866.812.8787. A bus driver has a duty to maintain order and safety on the bus. If a passenger is being unruly, the driver can warn the passengers to stop the unruly behavior, eject the passenger or contact police for assistance. If the driver fails to do so, he could become distracted by the behavior and cause an accident. Or, the unruly passenger might assault or otherwise injure another passenger. As a common carrier, bus companies owe their passengers the highest degree of care, and this duty extends to protection from unruly passengers. Our team of bus accident attorneys are here to help you and hold careless bus drivers and bus companies accountable. We want to make sure you receive the maximum compensation reasonably possible. If you need an an experienced bus accident attorney, contact us online or call us anytime at 615-742-4880 or toll-free at 866.812.8787. Bus drivers who are under the influence are a serious threat to their passengers and other motorists. Depending upon the type of bus involved, the driver may be subject to random drug tests and may also be required to undergo alcohol and drug tests following a serious accident. If you or someone you love has been injured in a bus accident, call our experienced team of attorneys so that we can fight for your rights. Call us anytime at 615-742-4880 or toll-free at 866.812.8787. The Federal Motor Carrier Safety Administration has established strict rules for a motor coach driver's hours of service (HOS). The HOS regulations dictate the number of rest and driving hours for motor coach drivers. By law, bus drivers must carefully log these times into their log books. Unfortunately, some bus drivers falsify their logs and drive longer than is legally permissible. As a consequence, they become fatigued and make serious, and sometimes fatal, mistakes. Our experienced team of bus accident lawyers knows how to cross-check a driver's log with gas receipts and other data to determine if the bus driver has falsified his logs. If you have been injured in a bus accident, put our team of bus accident lawyers to work for you. Call us at 615-742-4880 or toll-free at 866.812.8787. Motor coaches and buses are expensive to maintain, so a lot of bus drivers and bus companies cut corners in hopes of saving on costs. But, faulty equipment can be much more expensive as it can cost lives. Our team of bus accident lawyers is well-versed in reviewing a bus' preventative maintenance schedule and repair history and looking for gaps, errors and oversights. Sometimes, the maintenance and repair work is performed by outside companies and it is crucial to obtain the paperwork from all responsible parties so a complete investigation and assessment can be performed. In some instances, the problem is a manufacturing or design defect in the bus. In which case, the manufacturer of the bus may be responsible. If faulty or defective equipment played a role in your bus accident, our bus accident lawyers will conduct a complete investigation to determine who is at fault and then hold them responsible. Call us today at 615-742-4880 or toll-free at 866.812.8787. Driver errors can take many forms: failing to check blind spots, making too wide of turns, driving too fast for conditions, etc. When a bus driver makes an error and causes a wreck, the bus company and its insurance company will dispatch a team of experts and lawyers to try and keep from paying you a penny. You need to level the playing field by putting our resources and capabilities to work for you. We work with accident reconstructionists and other experts to help us conduct an independent investigation into your bus accident. For more than 30 years, we have been the voice of injury victims. 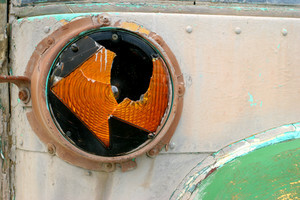 If you have been hurt in a bus accident, call us today and let us speak for you -- loud and clear. Call 615-742-4880 or toll-free at 866.812.8787. Incredibly, some bus drivers choose to risk the lives of their passengers and the lives of other motorists by texting while driving, eating while driving, adjusting navigation devices, talking on their cellphones, etc. Under Tennessee law, all drivers, including bus drivers, are strictly prohibited from texting while driving. School bus drivers are also banned from talking on their cellphones while the bus is in motion or transporting children. Yet, some bus drivers simply do not take these laws seriously and tragic accidents can result. Cellphone companies are only required to keep activity records for a limited period of time, and this data might be crucial in proving the bus driver was texting or talking on the phone at the time of the accident. So do not wait, contact one of our experienced bus accident lawyers today. We have more than 30 years of experience in helping injury victims, and we would like to help you too. Call 615-742-4880 or toll-free at 866.812.8787.